Published On Monday, September 16, 2013 By admin. Under: Characters, Featured, Only Fools and Horses. 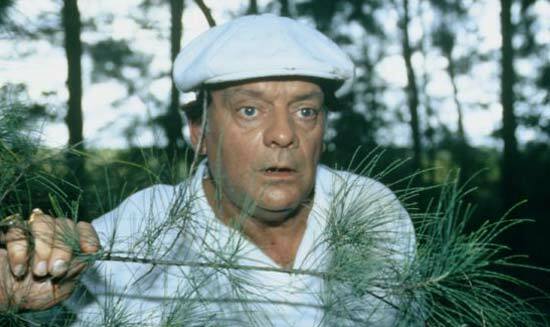 It was with great reluctance that I decided to write about the dirtier side of Del Trotter, a comedy creation so easy to peg as the best of all time that he even leaves such luminaries as Basil Fawlty and Jerry Seinfeld in the shade. However upon recently revisiting a couple of Fools’ episodes, A Royal Flush and From Prussia with Love I had decided that – in order for him to have become so universally loved – he would at some point have had to have stirred up in the viewer a certain distrust and disappointment. In A Royal Flush for example (possibly the worst of the Christmas special canon) I don’t think I laugh once, not because of John Sullivan taking his eye off the ball back in ’86 but rather Del’s complete – and at times heavy handed insistence – to sabotage Rodney’s burgeoning relationship with Lady Victoria Marsham Hales, daughter of a Duke and guaranteed heiress to an enviable family estate. 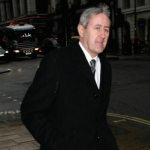 Del clearly lives for the moment; his whole maxim is that of ‘crash in and to hell with the consequences.’ This is part of why the nation loves him, and when it involves a quick decision over a gross of fire damaged woks or Turkish raincoats then we’re there with him. However when it hones in on plotting the systematic and calculated destruction of Rodney’s love life for a quick bribe from the Duke then we begin to recognise the lengths he will go to in order to grease his own palms. The flaws in Del’s character were a brave move. On the part of John Sullivan it was obvious that he wanted to try and push things, he wanted to try to emphasise that Del was a rogue, but not necessarily always a lovable one but instead a geezer who would do anything (and do over anybody) in order to earn a bit of coin. Sullivan would later master effortlessly the concept of pathos, particularly with Del as his main subject – but first he would have a good go at cognitive dissonance or creating a contradicted reaction in the 18 million viewers that tuned in to watch A Royal Flush on Christmas day 1986: or in other words we love this guy but we could have easily give him a right hook that night. But Del’s a dirty fighter who isn’t averse to going in low and grabbing when he needs to and Sullivan in the subsequent series and Christmas specials that followed would ensure that Del would successfully regain the love and empathy we all had for him and the Trotter clan. 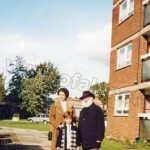 This occasional use of the odd unfair story line and Del’s eye for readies would see him morally slip up in his scheme to flog a baby to Boycie and Marlene when they meet Anna, a German lass abandoned and left to roam the mean streets of Peckham ‘with child’ or even as Del roughly surmises, ‘a belly full of people.’ This occurs in From Prussia with Love, an excellently scripted episode that packs more laughs to the pound than A Royal Flush despite the dark subtext, or Del taking a chance meeting with Anna and her desire to give up the baby before heading back to the fatherland, together with Boycie and Marlene’s ongoing struggle to have a baby of their own as an opportunity on making a few grand. 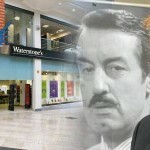 But reason prevails in the end and Del informs Boycie that the deal is off. He sees the light, just like we knew he would and order is restored. In hindsight these dark and tricky advances into the character of Derrick Trotter offer a true testament to not only the strength and integrity of Peckham’s finest fly-pitcher but also the genius of John Sullivan’s script writing and those few but stark reminders he gave us that for all the laughter lines Del liberally dished out, there also existed the odd scowl and that occasional feeling that Rodney should organise a few more hand-gliding lessons for his older brother. This is an interesting piece. 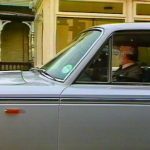 I’ve just watched the majority of the run of OFAH on a DVD boxset – the only ones missing are “A Royal Flush” and the later episodes (I believe the show should have ended with “Time On Our Hands” though to be honest I was never a fan of those 3 specials either, including the Batman & Robin skit). I remember seeing “A Royal Flush” on TV as a child, and being shocked at just how selfish Del was. All the time he’s cribbing a few extra quid for himself off Rodney & Grandad you didn’t mind, but then when he’s prepared to wreck Rodder’s happiness (and the end of the episode shows just how devastated his brother is) you feel dislike for the character. 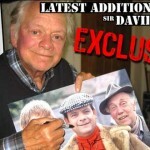 However perhaps John Sullivan was thinking where Del Boy would end up – look at Del’s behaviour in not just “From Prussia With Love” but also “Miami Twice”, where Del is prepared to risk Rodder’s already crumbling marriage by conning him into paying for Del to have a free holiday with him, almost killing the pair of them. Until he found the watch perhaps the growing disappointment of getting older feeling unsuccessful was increasingly affecting his behaviour? ………..I love the bit they edited out in the theatre scene where del is climbing back into his seat and everyone is having a go at him. You can pick up the uncut version from Ebay quite easily, it was part of the Only fools and horses magazine collection and i’m sure there are a few places online to download it, i have the uncut version downloaded from youtube a few years ago. Yet more negativity around Royal Flush. I don’t believe any Fools fan when they say they could not laugh at one part of that episode. Del: Ready when you are, John. Bloke: Do you mean ‘pull’? Del: Sorry, Paul! Ready when you are my son.